PRINCETON, N.J., July 6, 2016, AMRH, /PRNewswire/ — AMERI Holdings, Inc. (“Ameri100” or the “Company”) (OTCQB: AMRH), a SAP-based strategy consulting firm that brings synergies of classic technology consulting and product-based technology consulting services to its customer base, today announced that on July 1, 2016 it closed a $10 million credit facility with Sterling National Bank, principal subsidiary of Sterling Bancorp (NYSE: STL). The Company plans to use this line of credit to further its expansion strategy of acquiring SAP-based IT services and consulting companies. AMERI Holdings, Inc. (OTCQB: AMRH) is a SAP-based strategy consulting firm that brings synergies of classic consulting and product-based consulting services to its customer base. Headquartered in Princeton, New Jersey with offices in New York, Atlanta, Dallas, and Toronto, as well as offshore centers in Bangalore, Mumbai, and Chennai India, the Company is a global leader in consulting and technology solutions. The Company is a Lean Enterprise Architecture Partner (LEAP), enabling clients to outperform the competition and stay ahead of the innovation curve. The Company leverages a global partner ecosystem that has deep knowledge and skills to build and implement great ideas that drive progress for clients and enhance their businesses through innovative solutions. For further information, visit www.ameri100.com. Sterling National Bank, which is the principal subsidiary of Sterling Bancorp (NYSE: STL), specializes in the delivery of service and solutions to business owners, their families, and consumers within the communities it serves, through teams of dedicated and experienced relationship managers. Sterling National Bank offers a complete line of commercial, business, and consumer banking products and services. For further information, visit www.snb.com. This press release includes forward-looking statements that relate to the business and expected future events or future performance of Ameri100 and involve known and unknown risks, uncertainties and other factors that may cause its actual results, levels of activity, performance or achievements to differ materially from any future results, levels of activity, performance or achievements expressed or implied by these forward-looking statements. Words such as, but not limited to, “believe,” “expect,” “anticipate,” “estimate,” “intend,” “plan,” “targets,” “likely,” “will,” “would,” “could,” and similar expressions or phrases identify forward-looking statements. 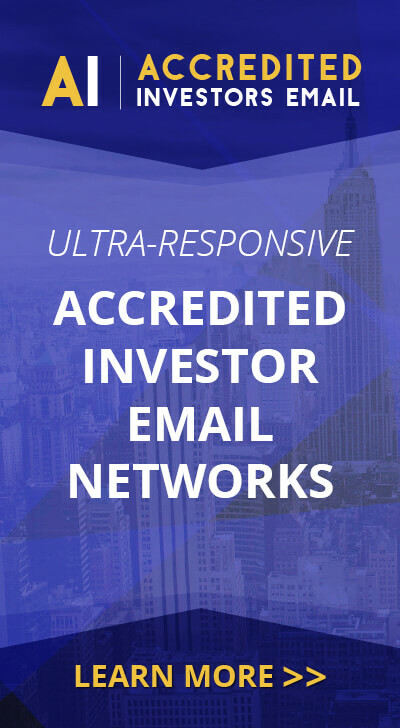 Forward-looking statements include, but are not limited to, statements about Ameri100’s financial and growth projections as well as statements concerning our plans, predictions, estimates, strategies, intentions, beliefs and other information concerning our business and the markets in which we operate. The future performance of Ameri100 may be adversely affected by the following risks and uncertainties: the level of market demand for our services, the highly-competitive market for the types of services that we offer, market conditions that could cause our customers to reduce their spending for our services, our ability to create, acquire and build new businesses and to grow our existing businesses, our ability to attract and retain qualified personnel, currency fluctuations and market conditions around the world, and other risks not specifically mentioned herein but those that are common to industry. For a more detailed discussion of these factors and risks, investors should review Ameri100’s reports on Form 10-K and other reports filed with the Securities and Exchange Commission, which can be accessed through the SEC’s website. Forward-looking statements in this press release are based on management’s beliefs and opinions at the time the statements are made. All forward-looking statements are qualified in their entirety by this cautionary statement, and Ameri100 undertakes no duty to update this information to reflect future events, information or circumstances.